Well, the month of May got off to a wonderful start, not only with good weather but with a ‘right good do’. 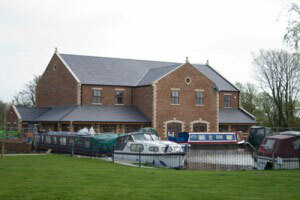 On 2 May I attended the grand rank recipient’s dinner which this year was held at Wyrebank Masonic Centre in Garstang. The dinner was attended by some 106 brethren and companions who had received an appointment or promotion in grand rank in either the Craft or Supreme Grand Chapter, together with their guests. We enjoyed a delightful reception which allowed us to meet with each other and this was followed by a delicious banquet, surpassing all the banquets enjoyed in London. The evening was a huge success and enjoyed by all who attended. This led us into the Bank Holiday weekend and all that sunny weather which gave me the opportunity to spend time in the garden preparing for the summer ahead. It was a most relaxing time and both Maureen and I enjoyed the time together and prepared for the week ahead. On Tuesday 8 May, I had a meeting at the Provincial office in Leyland and then was off to Blackpool to view the Winter Gardens and prepare for our meeting the following day. Having stayed overnight in Blackpool, after a relaxing breakfast Phil Gunning and I hailed a taxi and went off to the Winter Gardens for the annual Provincial Grand Lodge meeting. The building was bustling with Freemasons all undertaking their respective duties of stewarding in preparation for the many brethren expected to attend our meeting. Those brethren involved with the proceedings and the ceremonial were busy rehearsing for the afternoon meeting. The two ‘Blood Bikes’, previously presented by the Province, were proudly displayed in the foyer beside the 2021 Festival desk and surrounded by many brethren looking at these awesome machines. Time soon passed and after the main rehearsal, which went well, we had time for a lunch break, prior to starting the meeting at 2 pm. In the Spanish Suite, after the meeting. I was both delighted and very surprised to see so many brethren arriving for the meeting. We welcomed many distinguished guests and brethren from all around our Province; some 1,100 in all. What a wonderful sight it was to look out from the stage and see the entire stalls of the Opera House, full of Masons. We had a busy agenda, but I believe all went well and on time. Following the close and the recession from the meeting, we all had time for a most refreshing pre-dinner drink before proceeding to the Spanish Suite rooms for the ‘Grand Festival Banquet’. Over 670 brethren joined us for this enjoyable occasion which unfortunately, this year, was held under somewhat difficult circumstances as the ceilings in both the Empress Ballroom and the Spanish Hall were having to be repaired and refurbished. However, it did not detract from our enjoyment of a wonderful evening and brought a great day to an end. I would offer my grateful thanks and appreciation to all who attended this Provincial Grand Lodge meeting. After a very long and somewhat exhausting day I was driven home by Keith Kemp. On the Saturday of that week I had an early start for I was off to Leyland for the annual Provincial meeting of the Knight Templars. It was a very well attended meeting which was conducted by David Gallear, the Provincial Prior, who presided over quite a long meeting as he appointed and installed a new sub-Prior. It was a most enjoyable meeting with many distinguished guests from other parts of the country. In the evening, Maureen and I attended the Morecambe Lodge ‘Ladies Evening’. An occasion we have attended over many year, but this year was rather special as the master is Ian MacCluskie and his wife Lynda, is the Vicar of our church, St. Johns. We enjoyed a delicious dinner and wonderful evening in the company of many friends and colleagues from Morecambe and thoroughly enjoyed the entertainment which was provided by Jason Stewart. Monday and the start of a new week. At midday, Maureen and I were guests of the Morecambe Masonic Fellowship, who were holding their last luncheon, after 32 years as they were closing the ‘Fellowship’ due to lack of support. We enjoyed a great lunch at the Headway Hotel in Morecambe which was followed by presentations to St Johns Hospice, Cancer Care, Blood Bikes and the MCF 2021 Festival. I offer a sincere ‘thank you’ to all those brethren and ladies who have supported the ‘Fellowship’ over many years and my gratitude to those who have organised and administrated it. Thursday was a great day for a drive up the M6 to Carlisle. I was attending the Cumberland and Westmorland annual Provincial Grand Chapter convocation which was held at the Sands Centre in Carlisle and followed by dinner at the Shepherds Inn. The meeting was well supported by members of the Province who were joined by many distinguished guests from other Provinces. The convocation was conducted by Norman Thompson, the Grand Superintendent. We had a difficult journey from the town centre out to the Shepherds Inn but once there we enjoyed a most delicious banquet of Cumbrian beef. A wonderful day was enjoyed by those companions who had joined me for this special occasion, namely Paul Renton, Barry Jameson, Chris Butterfield, Colin Rowling, Duncan Smith, Peter Taylor and many more West Lancashire companions. I thank them all for their company. On the morning of 19 May, I travelled to Preston Masonic Centre for the annual district meeting of the Red Cross of Constantine Order, which was under the direction of Stephen Bolton, the Intendant General. A very well attended meeting with members from around the North and East District of West Lancashire and many guests from other districts. A very enjoyable meeting at which I was presented with a most generous donation towards the MCF 2021 Festival. My grateful thanks to the members of the Order. 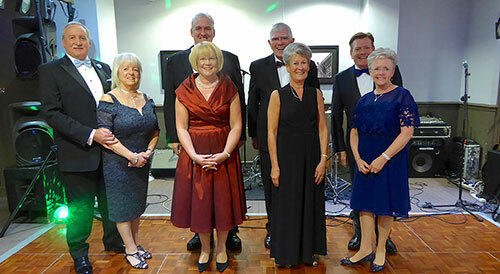 A wonderful evening at the Woolton Group Ball. Later that day, Maureen and I travelled to Whiston, near Liverpool for the Woolton Group annual ball. A great evening attended by over 100 brethren and their ladies for this fabulous event. The group had also organised a spectacularly large raffle in aid of the MCF 2021 Festival and it was so pleasing to see the support that this received from those attending. It was a fabulous evening; one to remember as this Masonic season is coming towards an end. On the Monday of the following week, after a leisurely morning in the garden enjoying the glorious sunshine, I set forth for Blackpool and the installation convocation of Blackpool Chapter of Sincerity No 4175. I received a truly warm Masonic welcome on arrival and had the opportunity to meet many companions prior to the meeting which was attended by some 50 companions of the chapter and their guests. 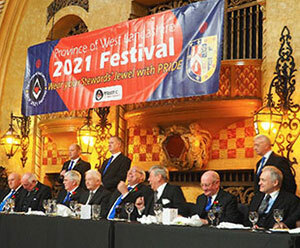 We witnessed an excellent ceremony and the chapter became a Patron of the MCF 2021 Festival. Following pre-dinner drinks, we all enjoyed a delicious festival banquet and speeches before I my homeward journey. A most memorable and very enjoyable evening. 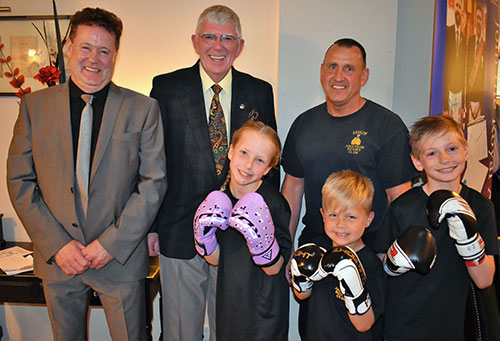 The charity presentation night at the Furness and South Lakeland Group. After a very leisurely morning that Wednesday, I set off in the afternoon to travel to Blackburn for the annual East Lancashire Mark Provincial meeting, held at King Georges Hall. It was a beautiful sunny day, but the meeting was still very well attended by brethren from the Province together with many distinguished guests from other Provinces. The meeting was presided over by the Mark Provincial Grand Master Alexander Maclaren in a most efficient manner and we then retired for pre-dinner drinks followed by an excellent dinner. Another enjoyable visit into East Lancashire. On the Saturday, Maureen and I travelled round Morecambe Bay in the glorious evening sunshine to reach Barrow-in-Furness Masonic Centre for an evening of presentations to many charities. These organisations were benefitting from the proceeds of the annual ‘Boxing Tournament’, which is held each January. A total of £10,000 was presented to many local charities and the MCF 2021 Festival. A big thank you to all who supported the ‘Boxing Tournament’. I’m pleased to be able to report that the weather over the Bank Holiday weekend was very kind to us this year! Maureen and I spent time in the garden and on Morecambe promenade which was wonderful to see so busy. The views across the bay were a joy to behold. My last duty of the month was on 29 May, when in the evening I travelled to Wyrebank Masonic Centre, Garstang for Jim Wilson`s retirement dinner. Jim has retired as Chairman of the Lancaster and District Group after holding that office for 10 years. In addition, he has held office in the group for over 22 years! With Jim Wilson (on my left) and other colleagues, at his retirement dinner. Well, it was certainly a night to remember and it brought the month of May to a close.